One of the greatest aspects of travel is the feeling of a welcoming community in an unknown place and meeting people who will help you adjust to their culture, food, and language. But what if you were forced into this new life? What if you had to leave your home behind to live in a foreign world? 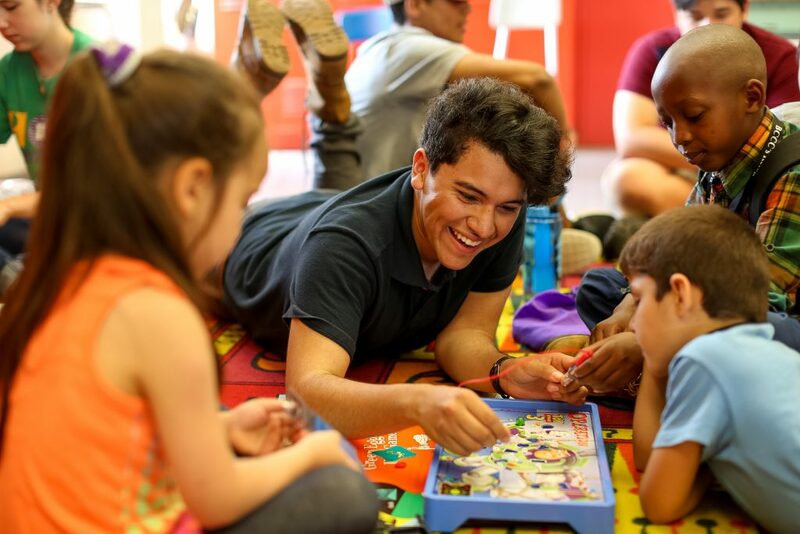 This past summer, Rustic Pathways students helped bring comfort and friendly faces to children who have come to the United States not to travel, but to seek refuge with their families. With a growing civil war in Syria, the EU has taken in more than 750,000 refugees. The United States has taken in less than a thousand of the Syrian refugees. 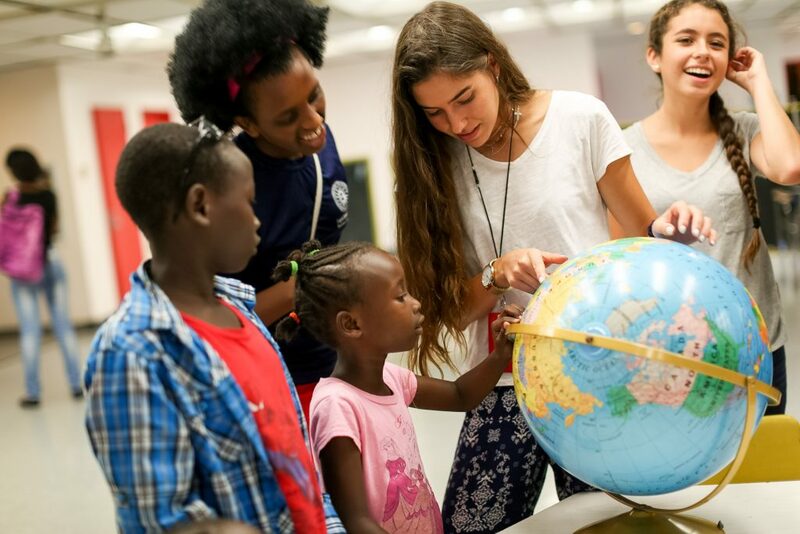 Students worked with almost 100 kids this summer with the Baltimore City Community College Refugee Youth Project (RYP), an organization that helps young refugees adjust and transition to their new lives in the United States. 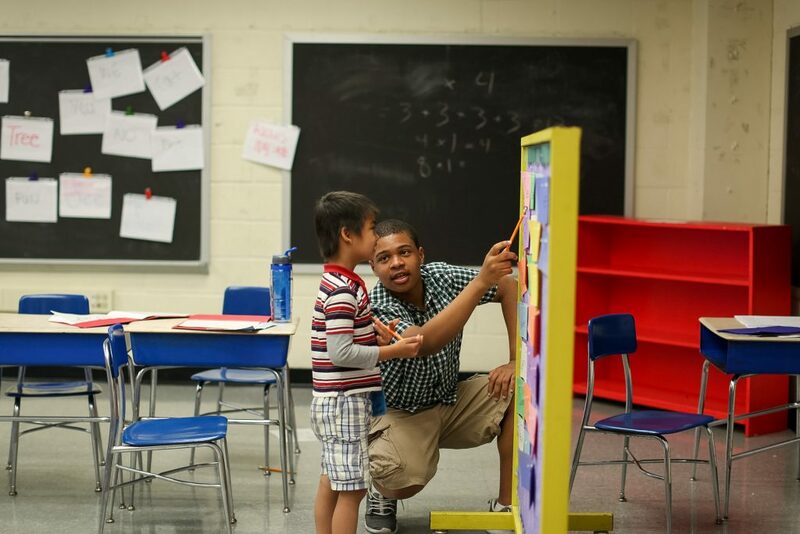 The RYP summer program allows them to learn English and make friends while getting used to a daily routine of following rules in a school environment. “[Some of these children were] born into a war, others have never been to school in their home country or have been out of school for 3 or 4 years. They’re not used to sitting down all day and some aren’t even literate in their own language, and now need to learn English,” said Brittany DeNovellis, RYP’s volunteer coordinator. Rustic students were the first to welcome kids as they got off the school bus and walk with them to the classrooms. Throughout the day, they helped with art projects, dancing, games, educational assignments, and creating an overall positive learning environment. “When you don’t have language to express yourself, art can be a powerful tool. We found other ways of talking without words, such as playing soccer, which teaches lessons like team building,” said Brittany. Seasoned Rustic Pathways program leader Heather Johnson went into this summer knowing it would be a challenge, but had no idea it would directly affect her later on. Her community of Tri-Cities, Washington recently found out that refugees were being placed there to live, and the people have not been supportive. “Before, I would have not been excited about having refugees at home, but now I’ve opened my perspective. I mean, there are only five Syrian refugees coming, but the community is in bubble; they’re afraid of the unknown. There isn’t anything to be scared of. If we don’t embrace it, we’ll have problems later on,” said Heather. After leading groups throughout the summer, Heather looked back and reflected on the change she saw in the RYP kids while working with Rustic students. Creating a welcoming environment for the kids at RYP is extremely important. They have come from war-torn countries throughout Africa, Southeast Asia, and the Middle East with their families to have a better life. They are placed in communities around the United States by the International Rescue Committee with housing and resources. 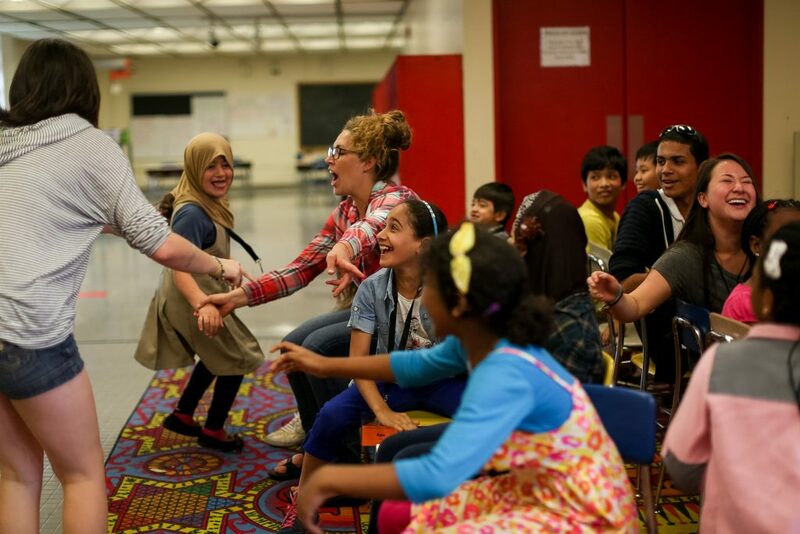 Hear the incredible stories of refugee high school students trying to find their place at a public school Baltimore and find out how to help refugee families and children in your own community. Learn more about The Refugee Youth Project or enroll in the program. Spots are limited. Don’t miss out on the opportunity to have an immediate and lasting impact by supporting refugee children.